I’m currently planning some pretty exciting travels, to a place I’ve dreamed of visiting for about 3 years and also to a country that I feel strongly drawn to. 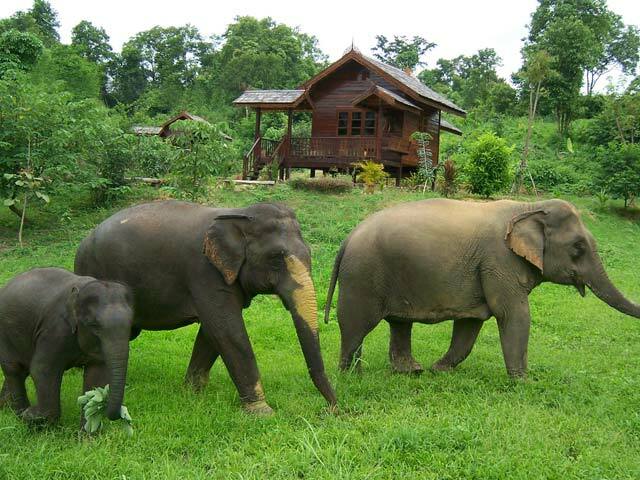 I have 4 nights booked at Boon Lott’s Elephant Sanctuary in the North of Thailand from 15 August and I want to explore Myanmar (formerly Burma). 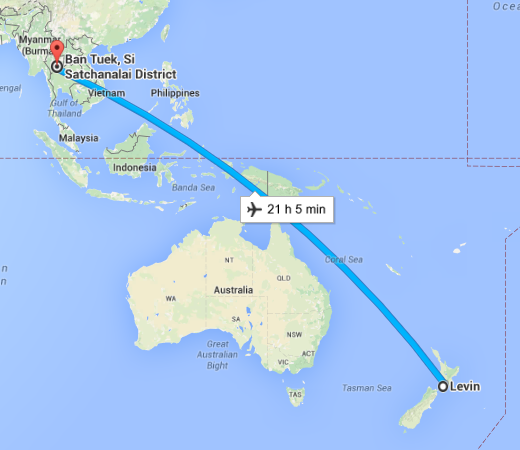 That is the extent of my confirmed travel plans. Katherine Connor left England in 2002 for a nine-month adventure in Asia. Just six weeks after her arrival in Thailand, Katherine met and helped care for a sick baby elephant while she was volunteering in an elephant conservation centre and hospital. 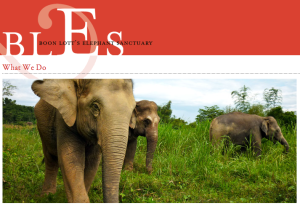 Boon Lott unfortunately died after 9 months but Katherine set up BLES in his name in 2005 and has been rescuing and caring for elephants ever since, with her husband Anon, their children and team of mahouts. BLES is located off-the-beaten track in the rural village of Baan Tuek in northern Thailand. The 400+ acres includes banana plantations, fruit trees, grasslands and rivers. I will be staying in one of the 3 guesthouses from which you can see and hear the elephants – if you can see them 24/7 there is a danger that I won’t sleep. There are no shows or demonstration, no elephant rides, no work for the elephants to do. Most of them have had a hard life prior to being rescued by Katherine and her husband Anon – working in forestry, tourism or circuses. They now enjoy their days as elephants should – enjoying long walks amongst the trees, splashing in the rivers, eating a wide variety of fruit and vegetation and being photographed by travelers like me who travel long distances to do so. On either side of the visit to Bles I want to visit Myanmar but I’m debating how to visit that part of the world. I almost always travel alone and am very comfortable doing so, however I have generally gone on organised tours while traveling through non-English speaking countries – Contiki through Europe, Scandinavia and Russia, Cosmos UK and Dragoman in Southern Africa. When you book on a tour as a single traveler you either pay a single supplement to get the luxury of a room on your own, or you cross your fingers that the person you end up sharing a room with is reasonably easy to get on with. I am still friends with Josie from Sydney who I travelled around Scandinavia and Russia with. She lives in Scotland now and we stay in touch by email a few times a year. She was the best friend I’ve met traveling. There were other good friends but post-travel communication was mostly by snail mail so over the years we’ve lost touch. I have also had some room mates that I wasn’t quite so compatible with. It happens. So I’m very tempted to travel solo. Myanmar seems to have a good bus and train network and plenty of accommodation. So I’m reading reviews and ideas on Trip Advisor, my new Lonely Planet guide and watching movies and documentaries to learn about the country as I can. I’m also watching the upcoming elections closely. Myanmar is still the road less traveled to a certain degree, which is one of the reasons I want to go now, not leave it for 5-10 years. I want to experience Myanmar while it’s reasonably untouched by Western influences and populated with McDonald’s restaurants. I may end up booking a tour but so far in my searches I haven’t found a tour company that appeals to me. It’s lucky that I have plenty of time up my sleeve – I can research to my hearts content over the next few months.